As expected, currencies continue to be very volatile, and has gold. 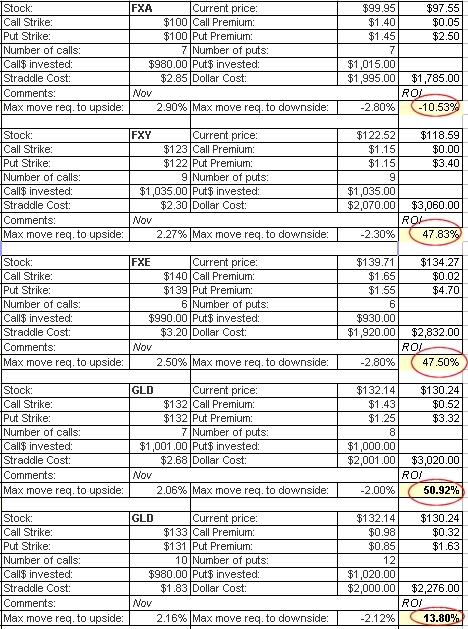 below is an update of our straddles from the first days of November. The only loser above is the Aussie dollar, but on average the gains are +30%.